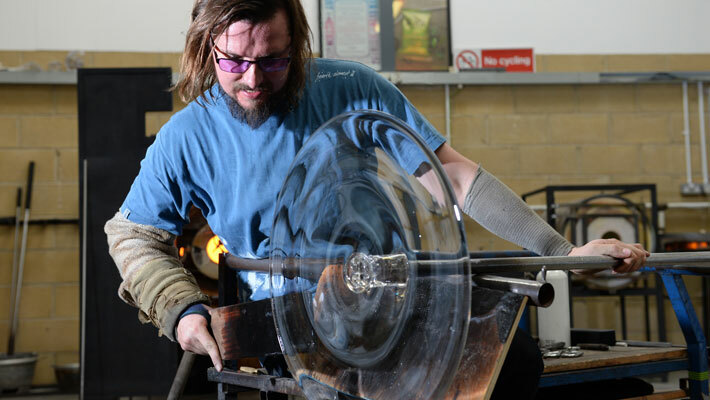 Working with the music of Philip Glass, this new artwork was created to help fundraise towards St George’s Bristol capital appeal. 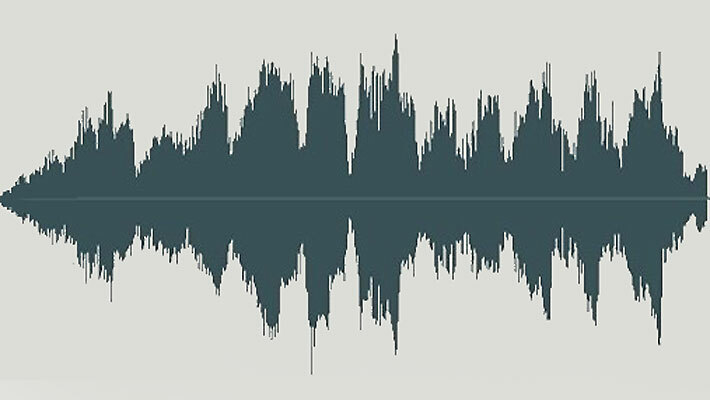 The artwork was made by taking wave form of the first 10 seconds Philip Glass music Philip Glass’ Etude No 2 and rotating it about its axis. The music is especially fitting as Philip performed it at his first visit to St George’s in 2013. 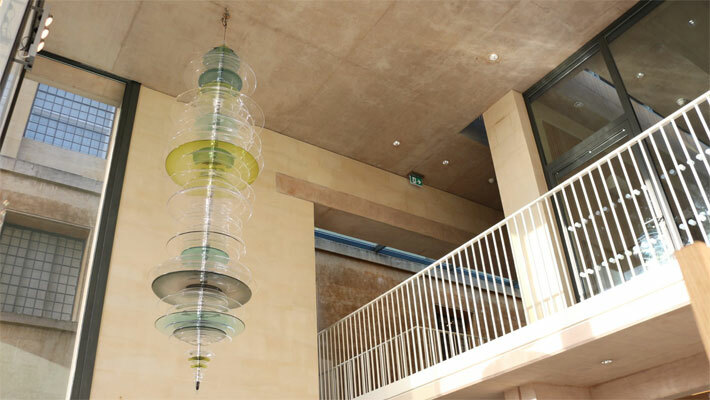 The sound-wave sculpture, entitled Apollo (for the Greek God of music), consists of approximately 80 hand-blown coloured glass roundels fused together. 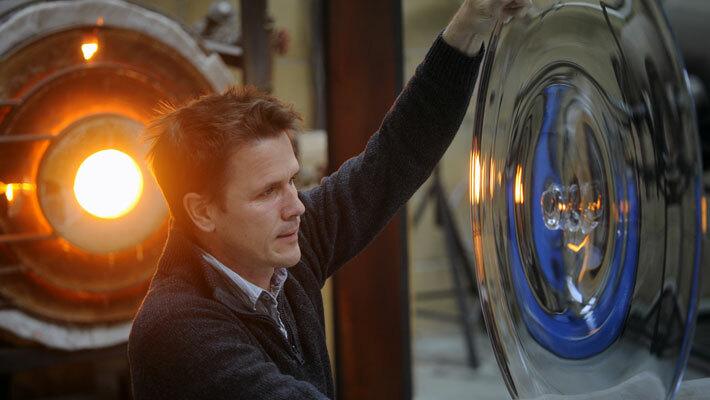 Luke Jerram is interested in making visible and tangible, that which is invisible and beyond the range of our senses. 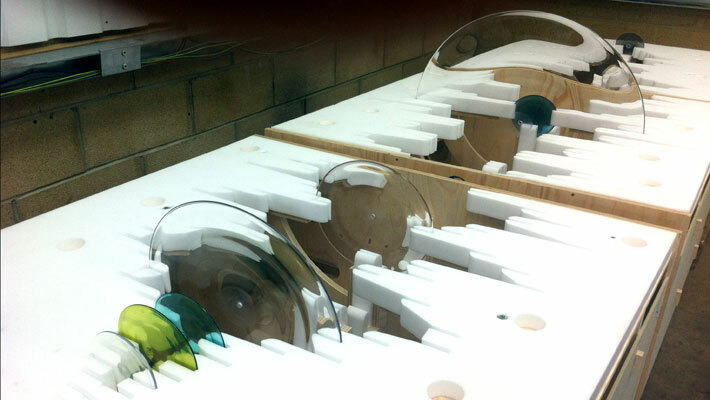 Here, invisible sound waves are rotated, solidified and turned to glass. 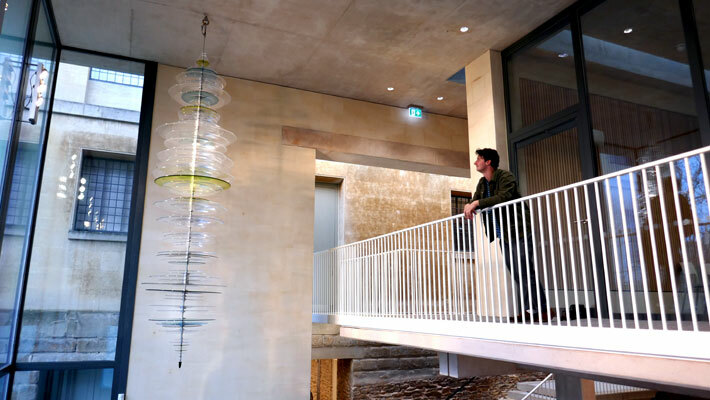 The final artwork weighs 310kg (680 lbs) and is 3.6m (142 inches) in length. 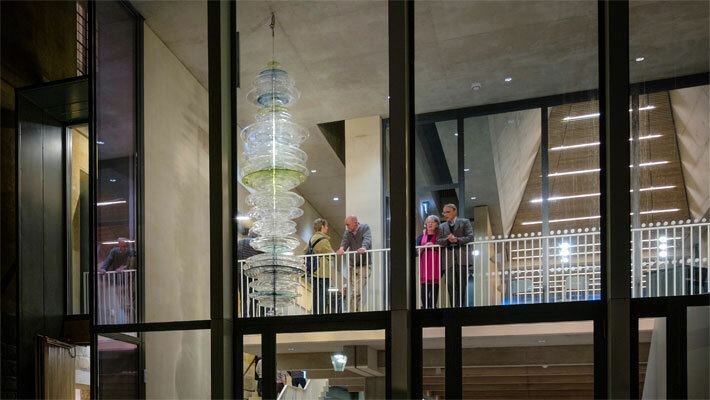 A fitting symbol of the transformed St George’s, a world class concert hall which celebrates music in all its forms, the sculpture is suspended in the foyer of St George’s new extension building. 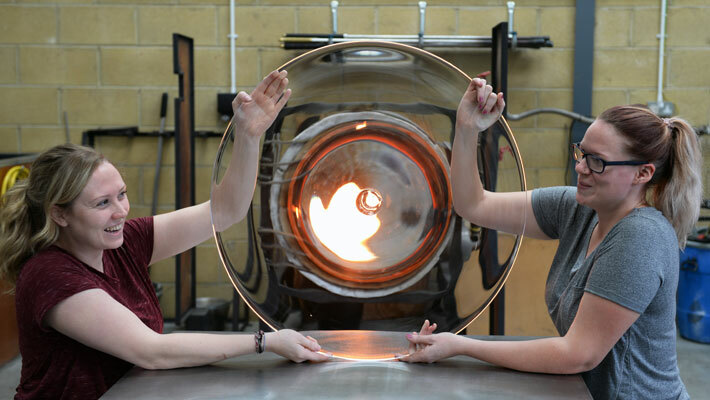 After funding to design and produce the sculpture was secured, individuals and companies sponsored each glass roundel to raise money for the building. 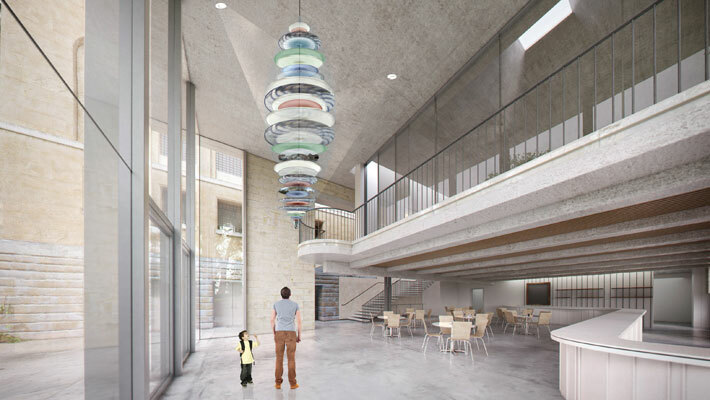 Over £600,000 was raised through the Apollo artwork towards St George’s £5.5m capital appeal. 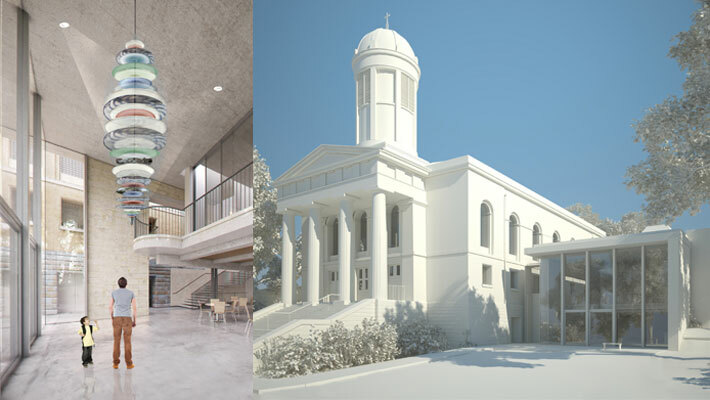 St George’s is grateful to Icon Films for this short film describing the creation of Apollo, donated in support of the Building a Sound Future Appeal. St George’s also thanks Kinneir Dufort for The Apollo logo, which has also been designed free of charge.